← Cute Cupcake Nail Tutorial ! Hi Confidence ! It’s Nice To see You Again ! Well it has been a very long time since I’ve posted on here and I’m feeling very mushy this afternoon, so I’m bring you a very loving post 🙂 I hope you all read through this and take something from it. Also I’m planning on doing a FAQ’s post so please leave some questions for me in the comments to help me out , it can be anything at all, just go for it ! The other night my Mum , sister in-law to be and I went out to a shopping centre to have a look for a new outfit to wear for a small family party. My personal experience with shopping isn’t so great , as I either find nothing I like or I find some things I like and they don’t fit or I hate how I look in them. But this night when we went out , I found a red skater dress that I quite liked, I tried it on and for the first time in forever (anyone else singing the Frozen song to themselves now ?) I actually looked in the mirror and thought “Yeah, I look nice in this dress” and I bought it ! It was in the car journey home I realised just how different I am to the person I was 2 years ago. I am so much more confident, my anxiety is almost non-existent and when it does crop up again, I am able to talk myself out of it using some techniques I learned through therapy . 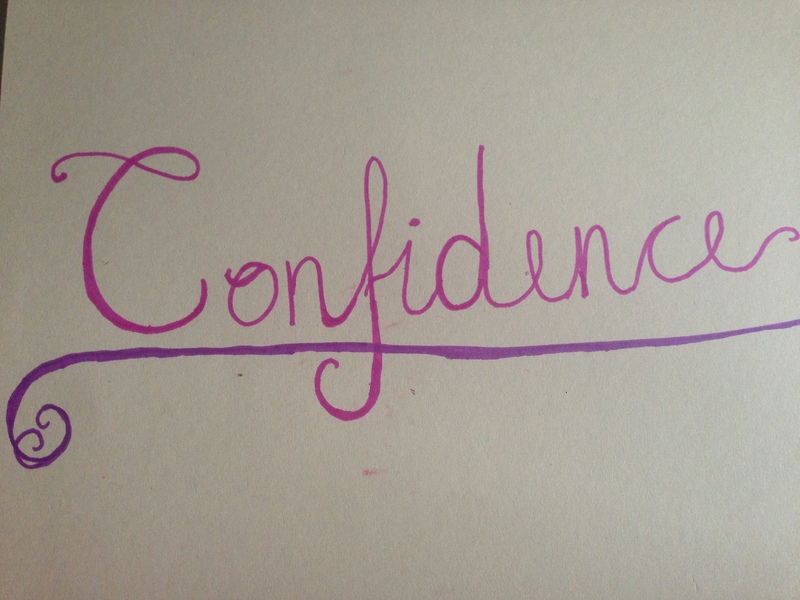 Confidence and self-esteem in girls (and even some boys) these days, has hit rock bottom. All over social media you see insecure girls posting quotes about how they wish they looked a certain way or felt a certain way. And yes I will admit (not that I’m ashamed to) I was one of these girls who had no self belief whatsoever, but now, I feel that I have come so far from a very dark place and I have more confidence than I ever had before ! The thing is, I think it’s almost romanticised now which isn’t helping matters, it’s usually a girl who doesn’t realise her beauty or potential being uplifted by a handsome guy who sees it all … yes that is a lovely story , but it’s almost teaching us girls that this is the norm and that we need guys (or other girls) to tell us we’re beautiful. Girls and boys out there , I’m here to tell you that, this is not the case, you are beautiful and amazing and you need to realise that ! 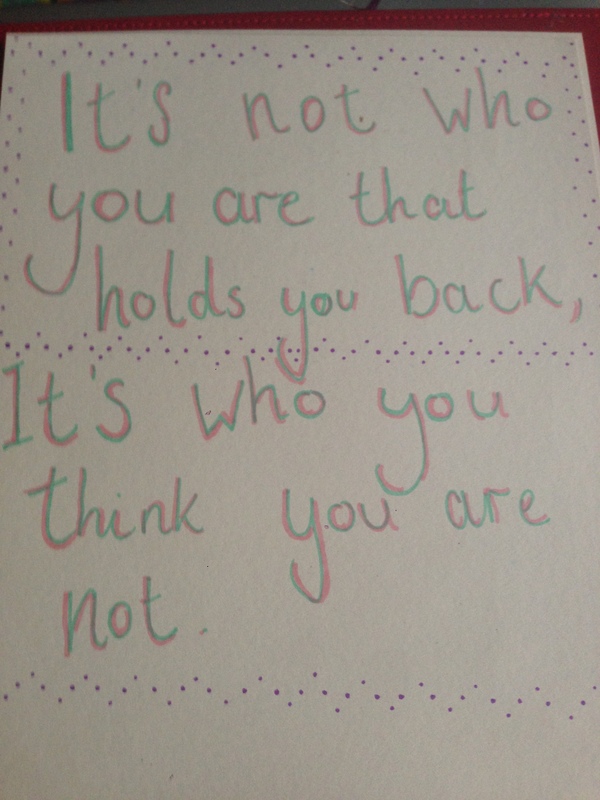 Accept yourself and embrace the confidence and self belief that comes along with it, instead of shying away from it. 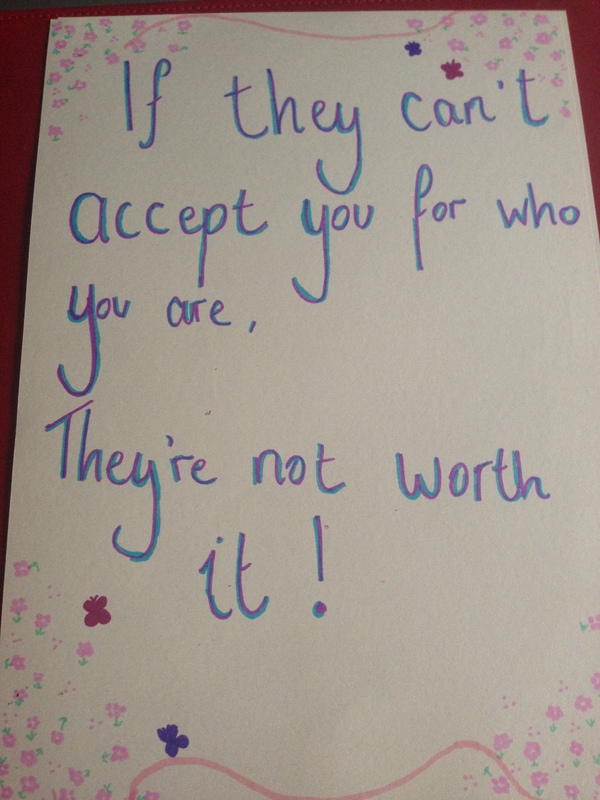 In the past I’ve battled with a mixture of mental health problems, I had thoughts that told me I wasn’t good enough, that I needed to be like someone else to be accepted and liked by others. but since that time I’ve realised that who I am is special enough, and if no one else can see that, they aren’t worth the time of day. 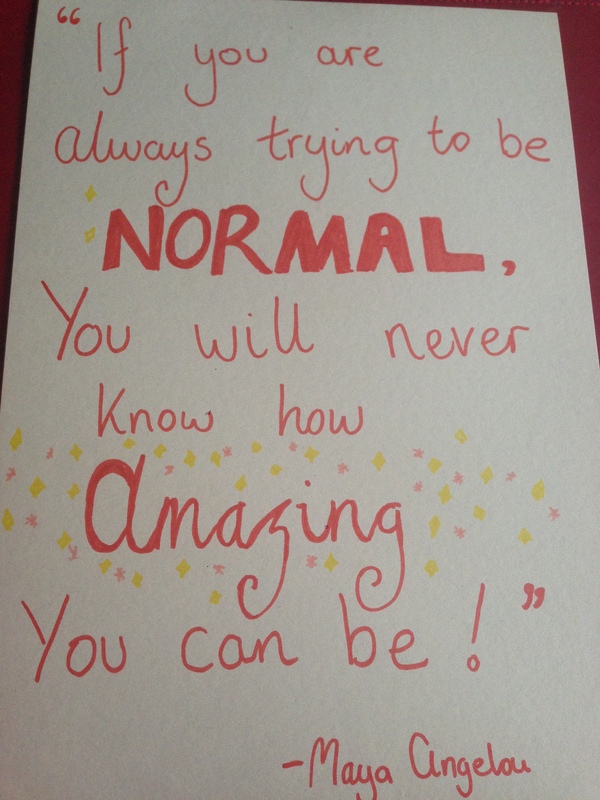 You are unique, there is literally no one on the planet like you, and that is so incredibly special ! And let’s face it, if everyone was the same as the person you admire, this would be such a boring, mediocre world and what’s the use in that? Be proud of yourselves ! Take pride in the person you are and do the things that make you happy. Say yes to new opportunities and breach the boundaries of your comfort zone ! You only have one life and one body, don’t waste your time telling yourself what you hate, love every minute of your time on this earth because life is too short to spend every day miserable . I love you all and I’m here for you if you ever need to talk things out, just email me and I’ll get back to you. Ambelle on Things To Come In 2016! Fed on Things To Come In 2016! Things To Come In 2016! Testing Vegan Recipes- Chocolate Brownies! My Lovely Trip To Eriskay. With LOADS Of Pictures!